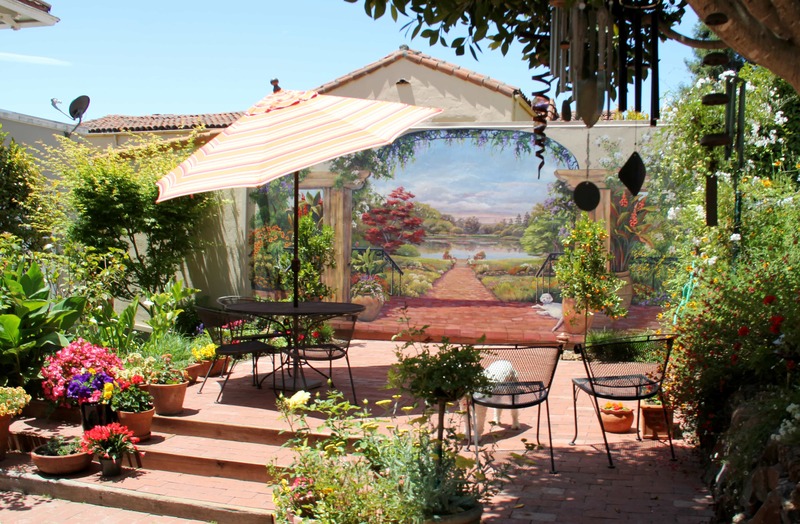 This client in Oakland already had a stunning, terraced backyard. 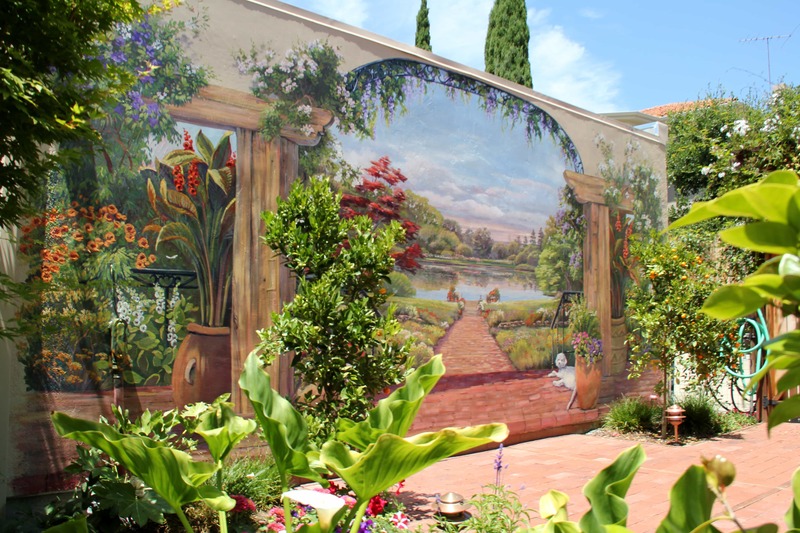 It boasted blooms form every corner, in every color, and was truly a lovely oasis before they ever heard of Murals by Morgan. 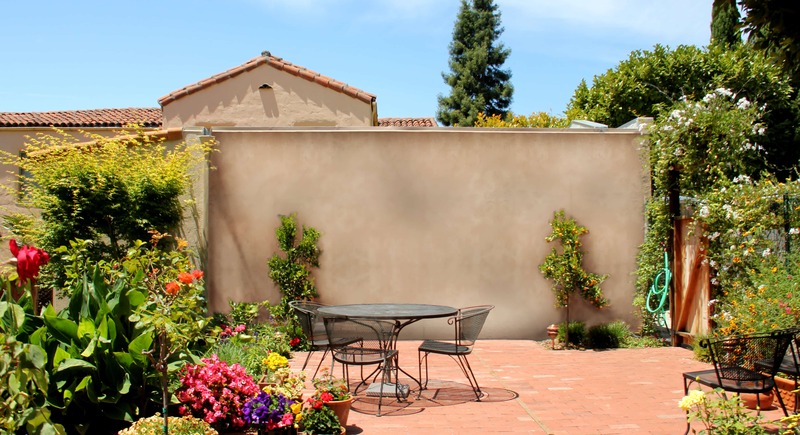 However, the backyard was bordered by a plain, white wall, which was the side of the garage. It was the perfect setup for the perfect storm, or in this case a mural by Morgan! 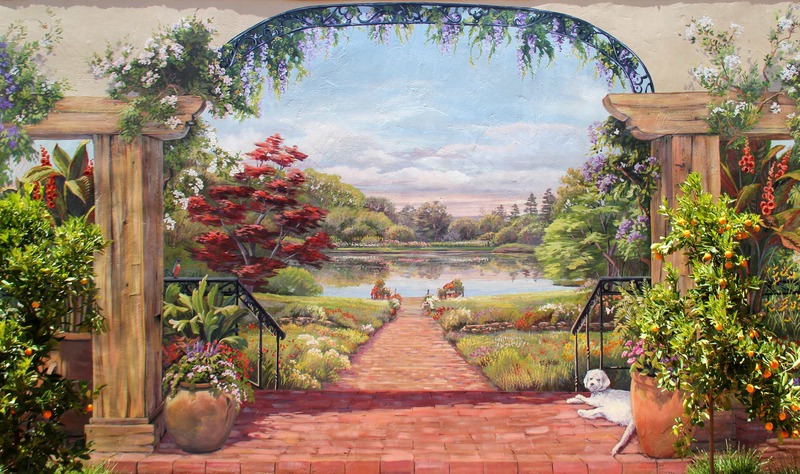 What I did was integrate the abundant blooms and color of their garden into the mural, but had it tumble out over a patio and then added about 10 more acres, which included a pond and a meadow. 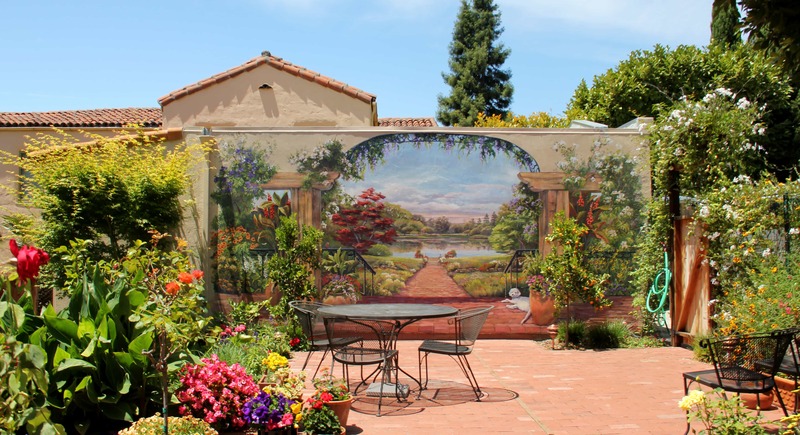 Now the wall that used to be a stopping point is an invitation to the imagination to enjoy an amazing view of an idyllic property. 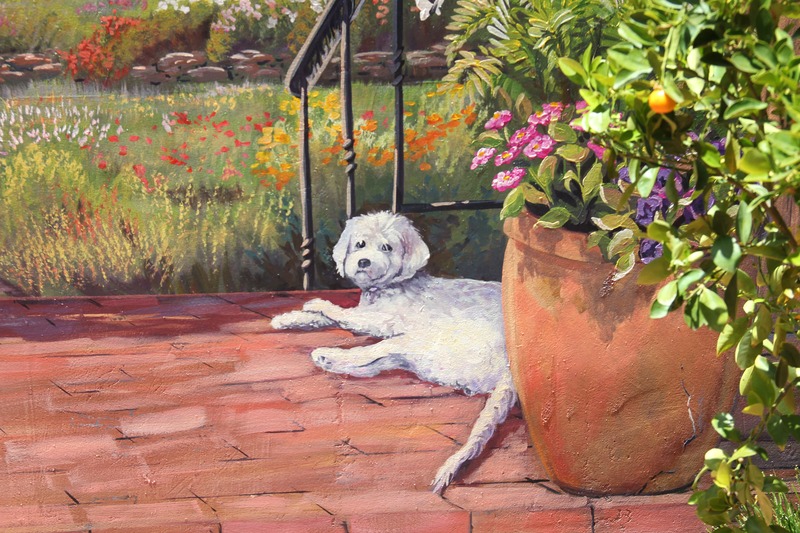 The owner asked me if I had ever been “there”, indicating the scene in the painting. I replied no. I later realized though I haven’t been to some of the places I paint, it is truly where I live. I am so lucky to earn a living sharing the beauty that lives in my imagination! 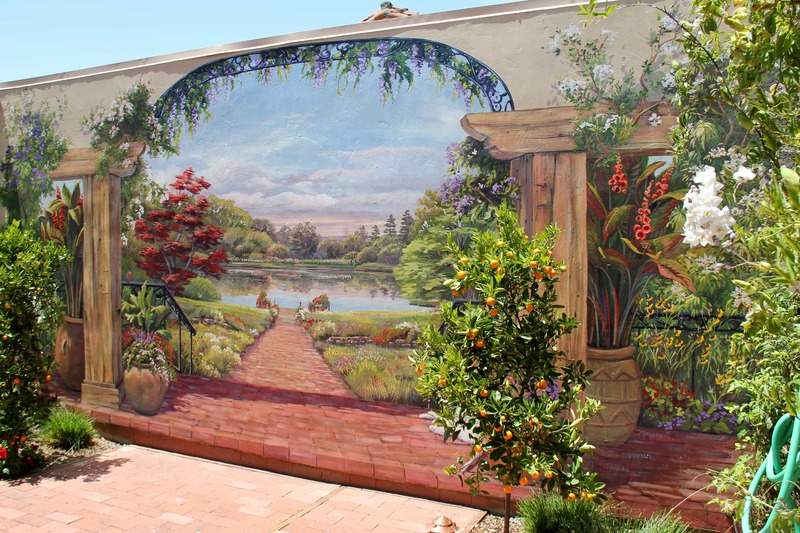 Watch a time lapse video of this mural’s creation.